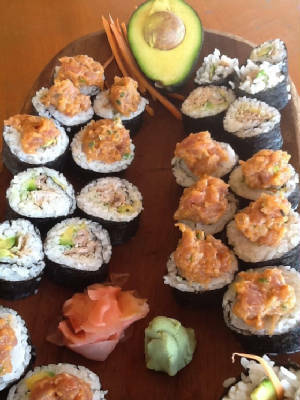 Sushi n Ceviche Creations by You! 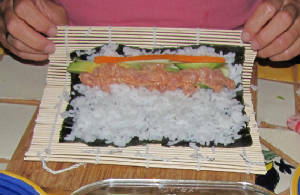 Learn to slice Sashimi, roll Maki, and/or marinade Ceviche to perfection. 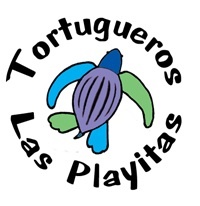 This two-three hour event can follow your Fishing Charter, or can be reserved as a Special Event. 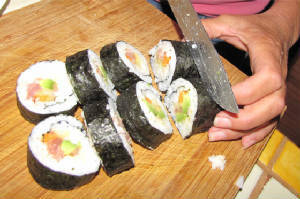 Our professional staff will show you everything from cooking the perfect sushi rice, to selecting choice filetes. 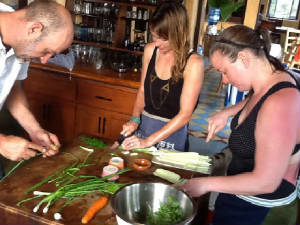 Learn the secrets that locals have been using to create Out-of-this-World Sushi and Ceviche Todos Santos style! 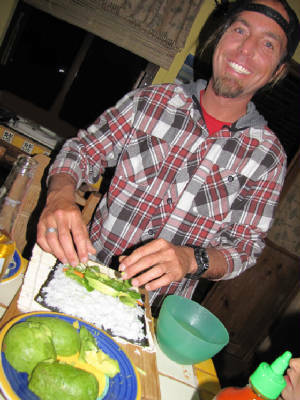 Creating Sushi 'n Ceviche can be brought to your Todos Santos or Pescadero location. Fish selections will depend on the season, but usually include Dorado, Yellowtail, Tuna, and Sierra Mackeral. Vegetarian selections also available upon request.